Being a Stampin' Up! demonstrator can be the perfect job for the summer - it's fun, it can work around your schedule, and it can put some cash in your pocket. It's especially great for teachers and college students who want a summer job but want to have some fun over the summer, too! Want to see how easy it is to get started? Check it out! 1. Order your Starter Kit. If you want guidance about what to choose for your Starter Kit, just let me know. I'm happy to help! 2. Set a date to host your own workshop. Invite everyone that you know - and their friends! (And pick the other dates that you want to work.) Encourage everyone to host their own workshop with you over the summer - it's fun and a great excuse to get together since everyone's schedules seem to get busy in the summer. Don't worry, I can walk you thru the steps to do this. 3. Take advantage of your Demonstrator Business Website so that your customers can order online 24/7. As a new demonstrator, you get the first 2 months free! 4. Make sure to contact your friends with suggestions of products you think will be perfect for them. 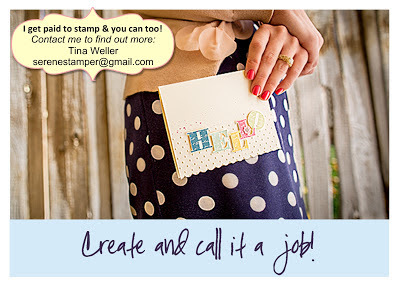 This is a crutial step to let everyone know that you are selling Stampin' Up! Of course, in the conversation, you can mention that you have a website where they can order at any time, especially for the upcoming holiday season. 5. Hold partiess, monthly clubs, or stamping classes on the dates that you have set aside for the summer. How about having a holiday card-making club once a week at the soccer field or dance class? When summer is over, you can go right back to work or school without having to quit your summer job. You can do nothing with it and continue to enjoy your stamping supplies or you may find, that once you get your business rolling, it's easy to customize it to your schedule and it can be something fun to do all year long. Want to learn more about the perfect summer job? Click HERE and contact me today! I LOVE being a Stampin' Up! demonstrator. And in a couple of weeks I'll be heading to Salt Lake City, Utah to celebrate Stampin' Up! 's 25 anniversary at their annual convention. I can't wait! Here are the highlights from last year's convention, "I AM", to give you a little taste of what a great company this is! 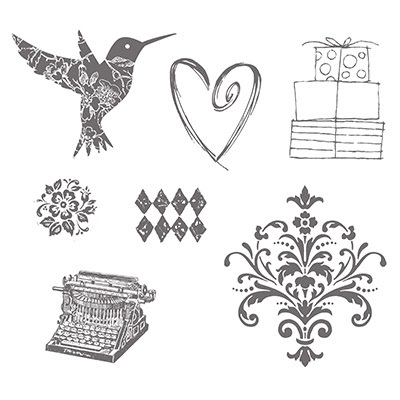 Fab Sale from Stampin' Up! New! 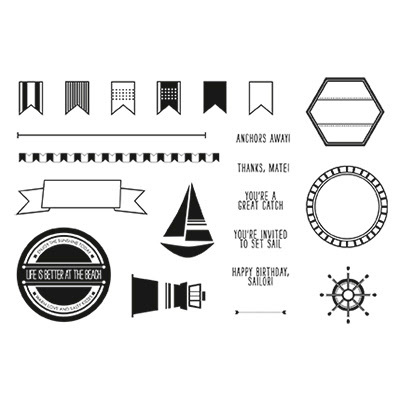 "Setting Sail" Photopolymer Stamper Set! New! Best of Shelli "25 Years" Stamp Set!